Jibhi is a quaint Himalayan village situated on the banks of Tirthan river in Himachal Pradesh. It’s a peaceful pastoral hamlet which has recently started to gain popularity in the travel bucket-list of those who want to seek peace in mountains with a twist of adventure. 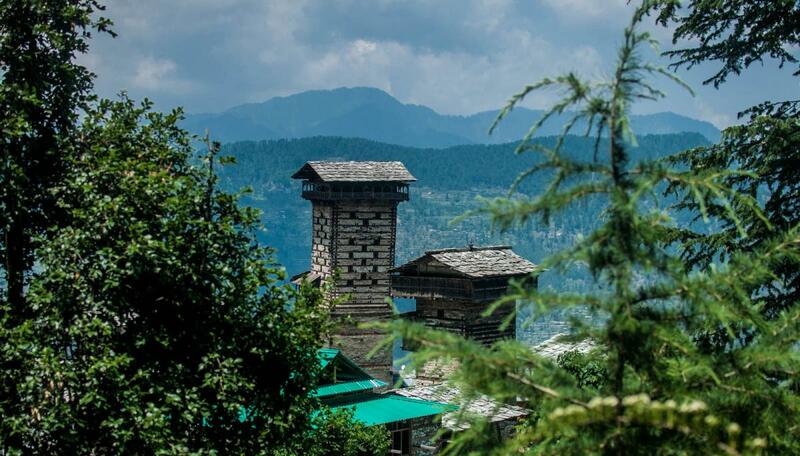 The freshness in the air of Himalayas, the gushing sound of river, hidden waterfalls in the forests, dense pine and cedar forests, traditional stone and wooden houses and the cold breeze purifying our souls are a true bliss in Banjar Valley. Don’t we all want to run from the madding crowd and noise of metros to the places where we can experience this true bliss? Let’s escape to Tirthan Valley for a short break. Let’s be close to nature, relax, unwind, connect with ourselves, challenge our limits a bit and let our inner child be alive again in beautiful mountains, in a fun and a diverse group. Meet the entire group and group leader for introduction and orientation in Delhi. We will board a Force Traveler (luxury vehicle) exclusively booked for our group for our overnight journey to Jibhi. Please note that if you are based out of Chandigarh (or any other city which comes on route) you can get in touch with us for the pick-up/drop on the way. We are supposed to reach Delhi by 5.30 AM as per the schedule, but still keep some buffer time in hand if you have an onward journey on the same day. We will drop the participants as per the respective pick-up points, exchange warm hugs, and good byes until we meet again. Please note that the 8500 INR is the introductory offer for this trip, valid only for April group. The regular price for this trip would be 9500 INR. Stay in a mud cottages/ camps (with attached toilets) in a resort for two nights on twin-sharing basis. Couples will be given private rooms. You can also message on WhatsApp or email and request for a call back. Please note that since most of the time are crew is traveling, hence, sometimes our number could be unreachable and hence we request you to leave a WhatsApp in that case as well.